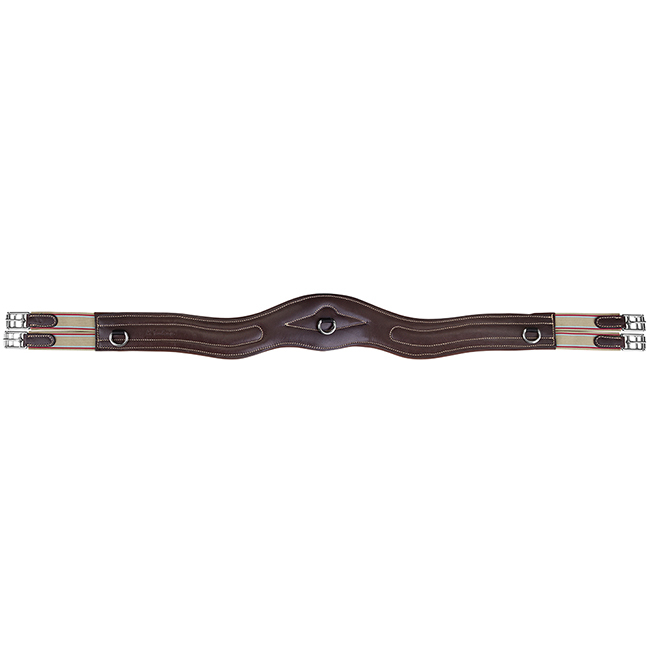 Select Size 38" 40" 42" 44" 46" 48" 50" 52" 54" 56" 58"
MTL Anatomic Shaped Padded Leather Girth features a cut-away design allowing more freedom of movement at the elbow points. Center & side D-Rings for training aids, Stainless Steel buckles and double elastic ends. We recommend SUPPLE Leather Cleaner and Conditioner for all of our MTL Products. There is no right or wrong product to use on good quality, natural leather products, but we recommend that wiping down with a soft cloth or damp sponge is usually enough for day to day care. SUPPLE Leather Cleaner and Conditioner (Available at www.suppleleathercleaner.com) is a great product to use when the leather needs a bit more to keep sweat and dirt from building up, or if exposed to inclement weather (immediately after the ride). Allow tack to dry thoroughly before using again if at all possible.